In the company of a group of acquaintances sometime ago, I expressed my satisfaction with life and mentioned "I have so much to be grateful to God for. His bounty, love and mercy on my family and me have been infinite. And no matter how much I thank Him each day, might not be enough." An apparently skeptical person wasted little time putting up that hackneyed question, stating .. "That raises an issue. If God has been so nice to you, then why not to so many others?" Ah! probably it raises an "issue." If I'm being taken care of by Almighty Allah, then why not others? But the query didn't surprise me. After all, isn't this is the difference between a skeptical mind and another one that's well grounded in Faith? I take it as yet another reason for which I need to be eternally grateful to God. Fortunately He has blessed me with enough sense and insight not to wrestle with unanswerable questions (more on this later). And again, this doesn't change the fact as to how fortunate and privileged I feel about receiving His compassion. The feeling and experience of being looked after by Allah Almighty carries a definite meaning and a message. My inability to answer a question that belongs to the Unseen will neither alter nor erase that profound meaning. Nor will a wave of trials & tribulations deter my well-settled logic and perception. 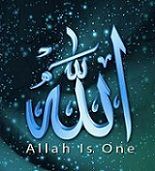 What truly matters is what I understand for myself concerning my own life -- that is -- my 'one on one' relationship with Allah. The reason for being grateful to Him isn't necessarily the outcome of being the luckiest person on earth. When I say I'm thankful to God Almighty for His mercy, it certainly doesn't imply that I haven't been through my share of trials & tribulations (big time!) like many others. Moreover, there are many remarkably fortunate people in this world who've never even thought of God for a minute all their lives, let alone thanking Him. The aspect of gratitude toward God is not necessarily the result of being lucky. Rather, it's the outcome of the extent to which an individual nurtures their conscience - spiritually, practically and selflessly. It's an outcome of the level of humility they are able to achieve through their rational & careful reflections. The question about the fate of others is between God and each invididual. Let's not forget, everyone's life has its own numerous characteristics built by themselves based on their own ethical & moral perception and conduct .. thus, constructing a different 'inside story' for every living creature. No one but Allah knows the complete details of this 'inside story' of each soul. It is on the basis of this detailed knowledge that He makes His decisions. So who am I (or anyone) to question Him about the fate of others? Just because we, as humans, cannot comprehend an answer does not mean that there is no answer. That would be a pathetically wrong and limited conclusion. Definitely, the answer exists concerning the fate of every living being .. humans, animals, birds etc.etc. But only He knows it, we don't. This marks the boundary of the Unseen. We cannot cross it, no matter how hard we try. That's the way God has ordained it. Though a skeptical mind prone to its own kind of apathy would misconstrue this as 'complacency,' the truth is that accepting the Unseen with humility will eventually help us to answer many more questions instead of challenging it. JazekAllah Khair. May Allah grant u the reward for your sabr and humble thoughts, ameen. u have handled a tough question very deftly. It all revolves around the difference between being 'wealthy' or 'poor,' i.e. wealthy with the wealth of Guidance. SINCE WE WE ARE CREATED BEINGS & OUR MINDS ARE LIMITED CANNOT TAKE HIS PLACE ] & THEY WILL BE QUESTIONED. The meaning relfects that since we are human beings or created beings, our minds have limitations and we can NEVER take His place. Thus, it is we who will be questioned, NOT Allah. Ah! thank u sister Heba. Yes, V. 21:23 of Surah Al-Anbiya is lovely and it's so suitable for the thoughts I expressed. Thoroughly illuminating thread. Don't now how I missed it for so long.